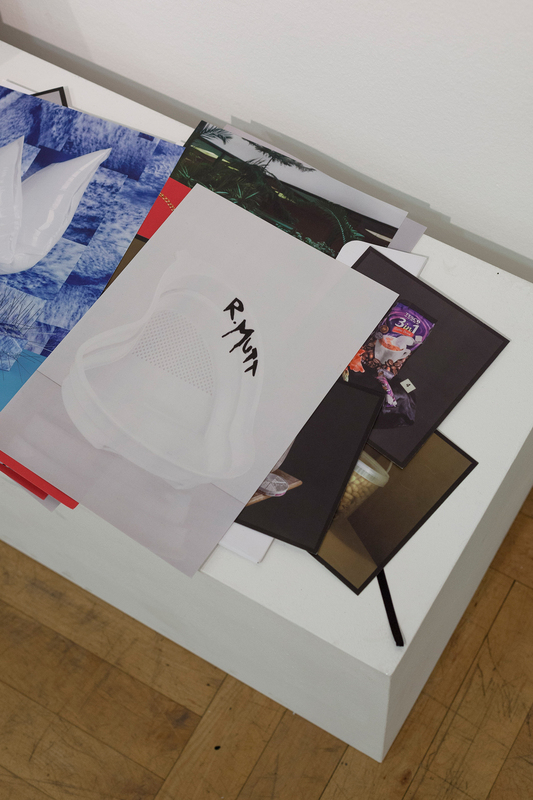 The Portfolio Review is an event that has been taking place since 2013 in Düsseldorf. Despite its rather prosaic name, the Portfolio Review is an innovative and unprecedented format to showcase and discuss the work of upcoming photographic artists. Through an open call, every year a changing number of participants get selected to present their work in front of an expert jury and the audience of the Düsseldorf Photo Weekend. 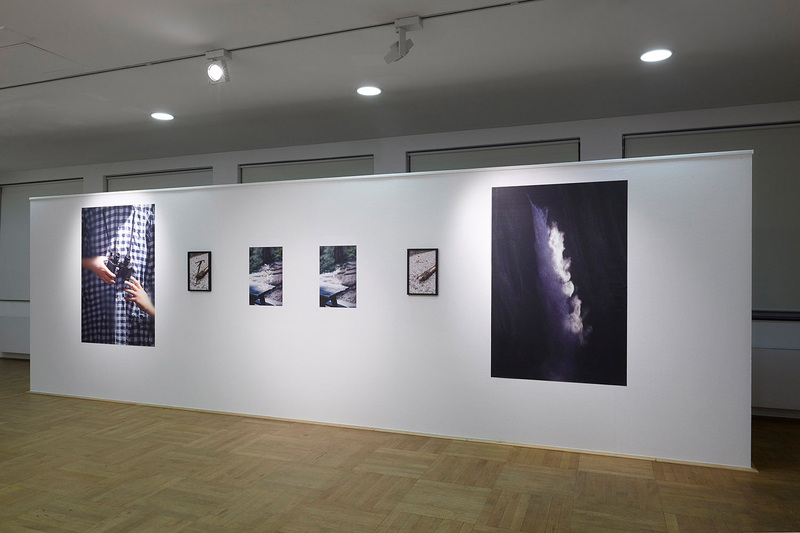 Over the years the event has built up a reputation of discovering and promoting the work of artists who explore the possibilities that the ever-evolving medium of photography continues to offer. 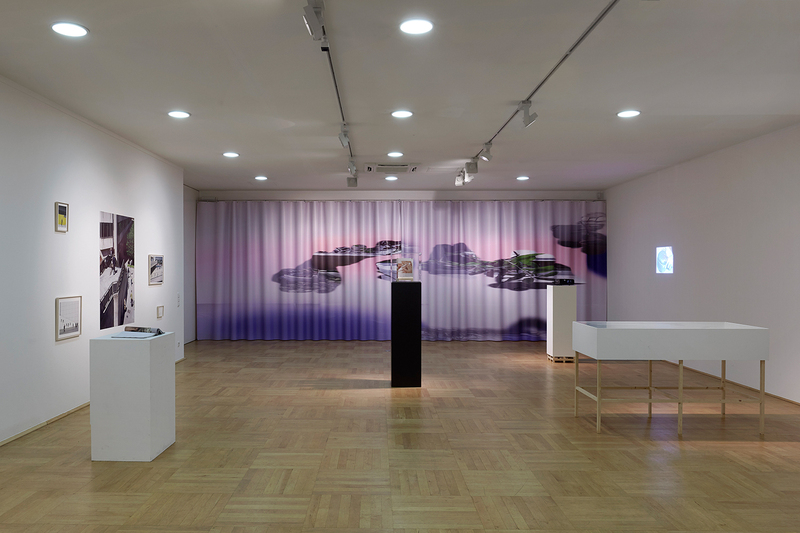 On the occasion of the fifth edition of the Portfolio Review in 2017, the initiators decided to curate a group show that brings together artists of the past four editions. 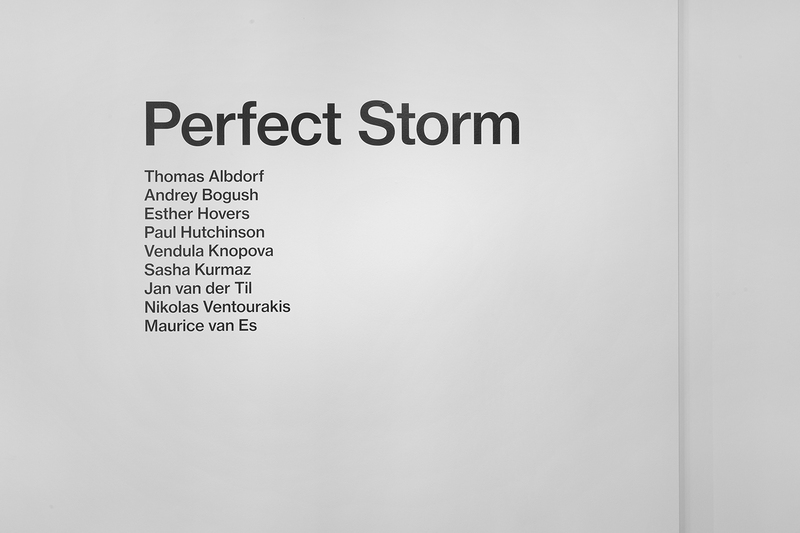 As the Portfolio Review has never had a prescribed theme, this show, entitled Perfect Storm, likewise could not be grounded on any such theme or topic. 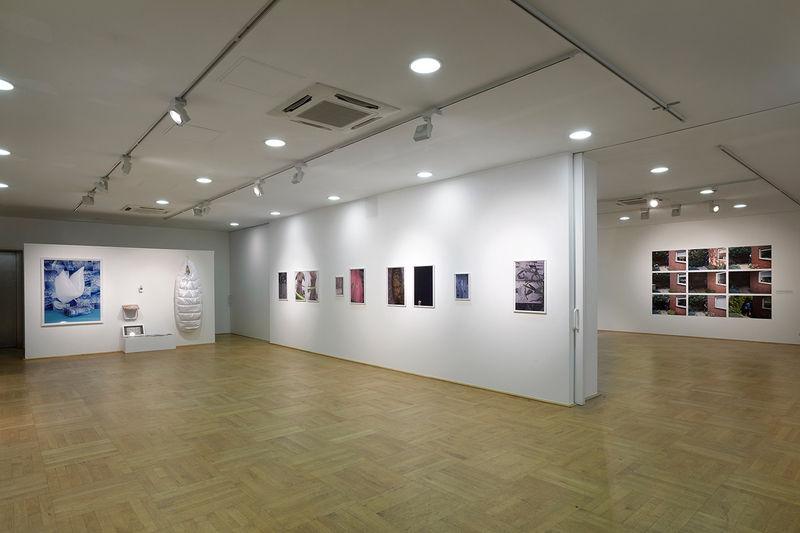 However, given the design of the event as a platform dealing with new ways to access and fathom the medium, the exhibition featured artists whose works deal with various conditions of the contemporary image that sometimes gently and sometimes rather bluntly shapes our understanding of and behaviour towards our world. As passport pictures, in advertisements, urban spaces, family albums and how-to-manuals, for control and surveillance purposes, in science and in art: we produce, use, manipulate and circulate images in so many ways that itemising the different usages of photography may take forever. The over-boarding reality of images puts their realness in a different light, while experiencing reality becomes increasingly overlaid by a visual filter pre-determining what we get to see and comprehend. 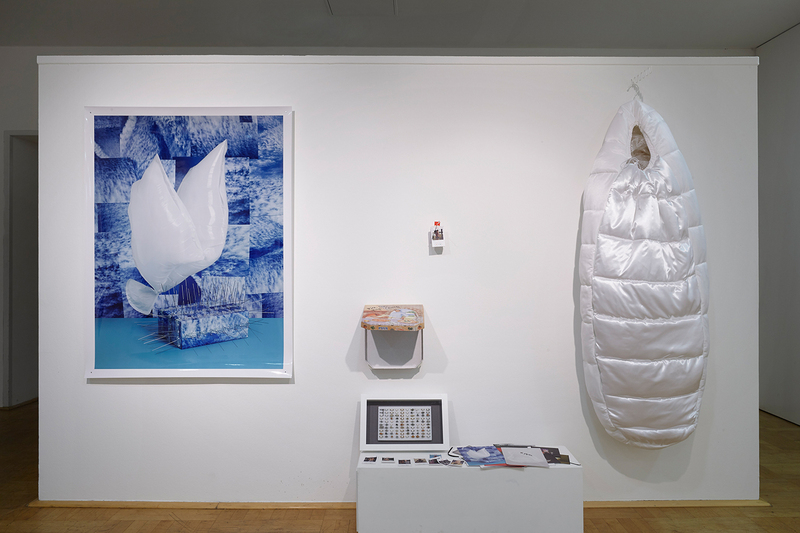 The artists in this show react to this world that is interspersed with visual narratives and technologies, indicating the consequences of such shifts on human identity, memory, social behaviour and the beauty therein. 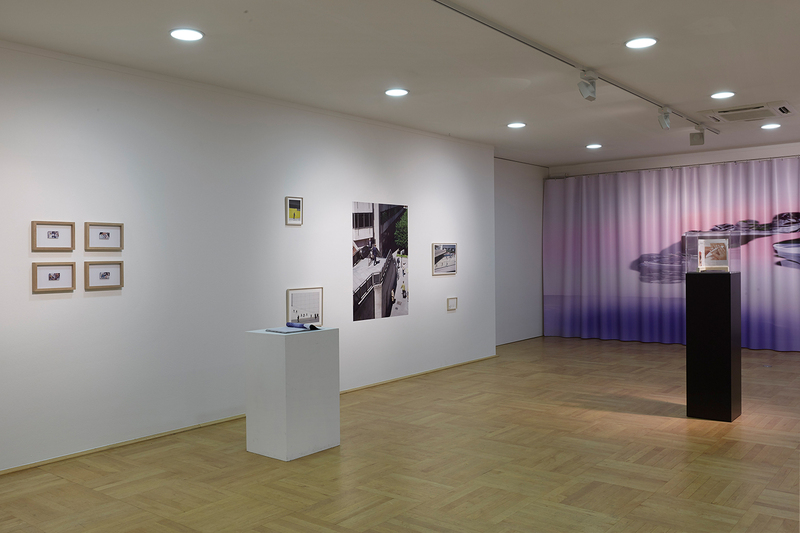 Thomas Albdorf investigates the ability of the photographic image to connect and at the same time disconnect from the reality that it departs from. 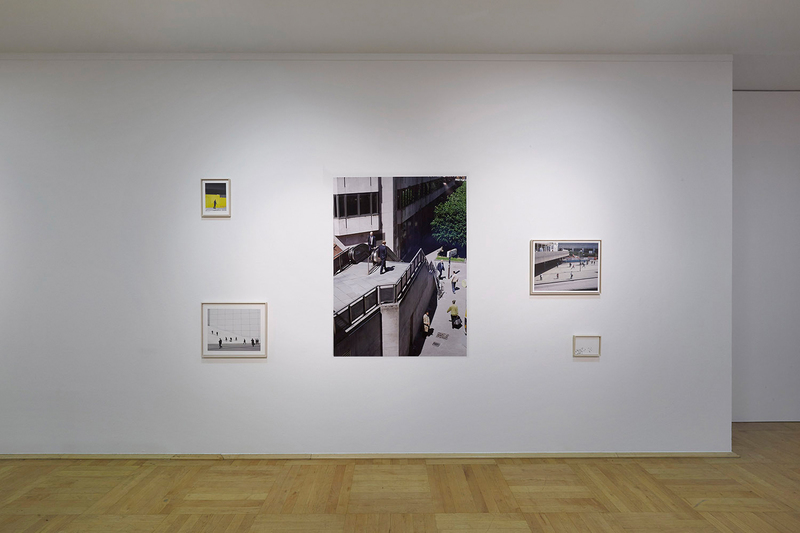 General View is an invitation to reconsider our understanding of the indexical relation between the photograph and that which has been photographed. 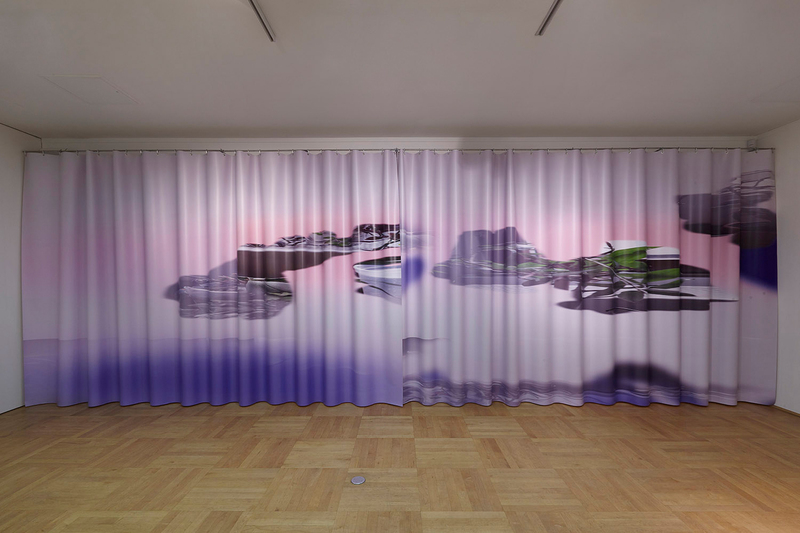 In Albdorf’s work we see blurs and glitches that in parts made and intended by the artists himself, while others are engendered by algorithms as the result of merging and altering processes independent of direct human control. 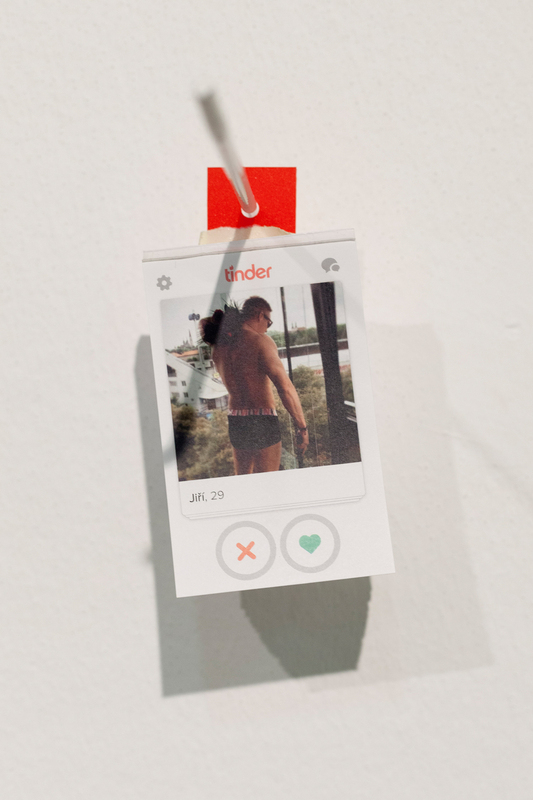 Vendula Knopová’s work Živijó is a satirical take on romantic relationships in the age of dating apps. The work mimics a start-up that provides all kinds of wedding services ranging from picking food menus, location scouting and photo documentation to providing bridal fashion advice. 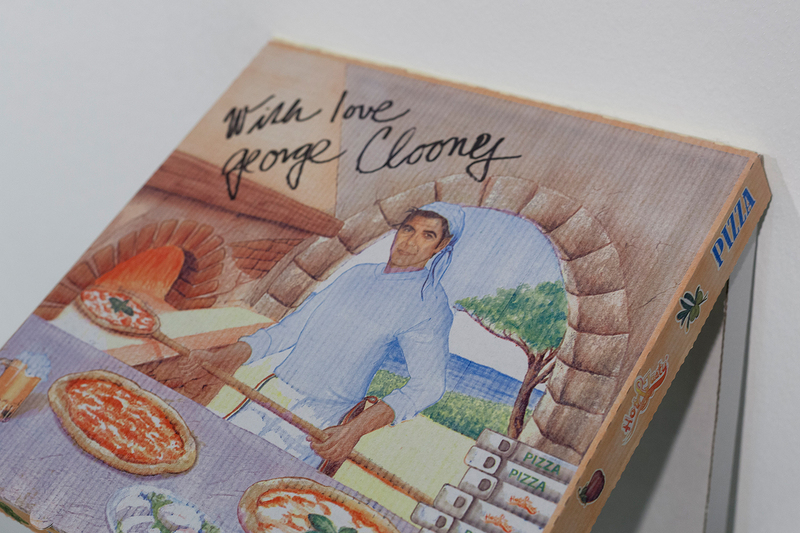 Amongst other things, she brings together found photographs of Tinder profiles of East European men, a sculpture of a mummified wedding dress and a pizza box signed with love by George Clooney. While the work turns broadly shared expectations ad absurdum, it criticises not only a whole industry but an entire mindset that is based on superficialities. Paul Hutchinson presented two of his recent groups of works: Wildlife Photography and Schmetterlinge. His interest lies in poetic observations of urban and suburban cultures and the relationships that architectural structures entertain with natural and social phenomena. In Wildlife Photography he photographed the inside of an underground station in Berlin-Neukölln that, commissioned the city council, had been decorated with scenes of wild animals living in nature. 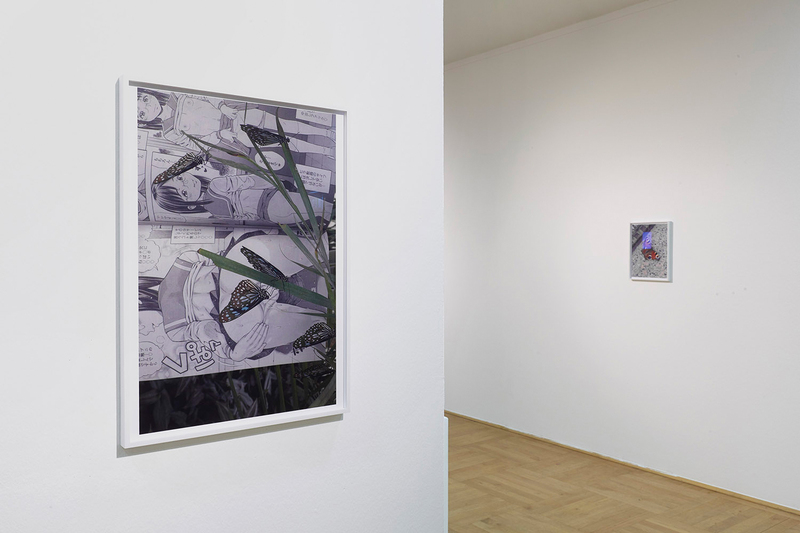 In the Schmetterlinge works, on the other hand, Hutchinson depicted butterflies against the backdrop of East Asian grey cityscapes, merging them with objects of contemporary life such as phones, cigarettes and manga comics, revealing the magical realism that these encounters bring to light. Nikolas Ventourakis’s large-sized work comes from his series Systematic Portraits. Conceived as a portrait of a portrait, Ventourakis scanned his own passport photo using the automatic cleaning function of a photographic scanner. 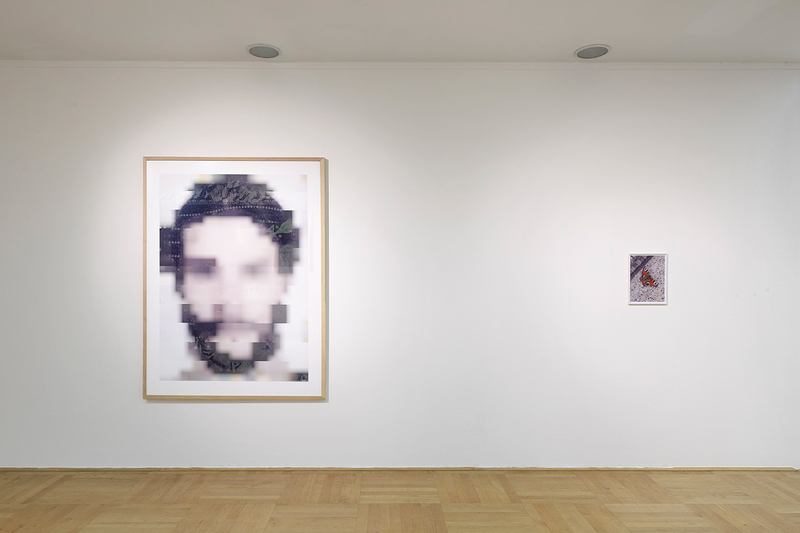 The distorted, highly pixelated parts visualise the areas where the machine tries to correct the information it receives from the passport surface. Stemming from the idea that a passport photo is not inherently required to portray the owner of the passport, but that it is the owner’s responsibility to match the photograph and the data, the work questions our habitually unquestioned constellations that establish and represent the identity of a person. 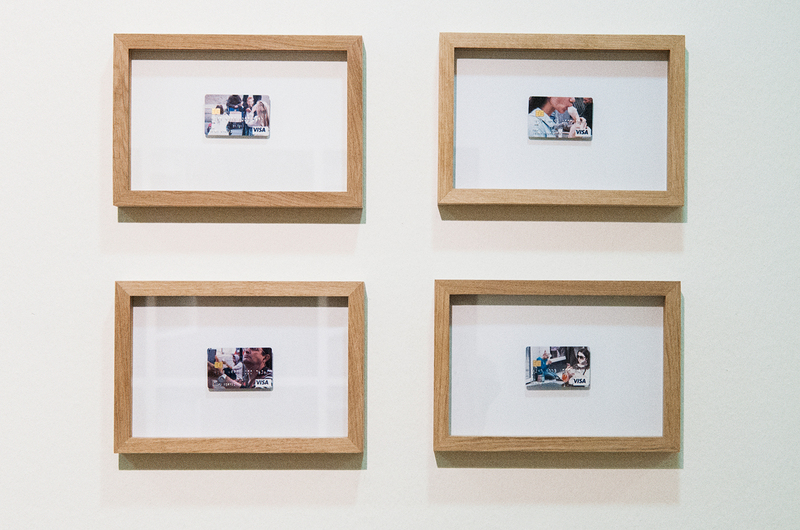 Jan van der Til works with vernacular photographic images that he finds in various printed matter. Likening his methodology to the rhizomatic structures of gardens and biological systems, his work is divided into Books that are collections of images each unfurling a different subject matter. 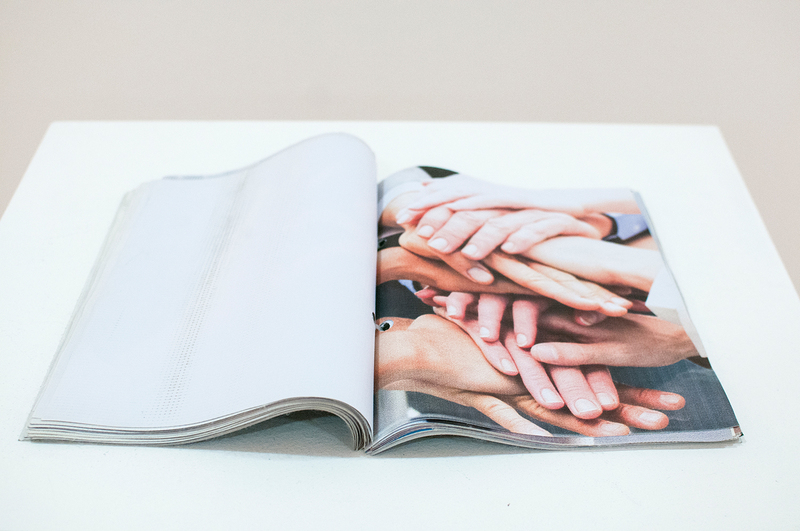 In Perfect Storm he presented an installation of Book IV: images taken from “how-to manuals” depicting hands in different actions. 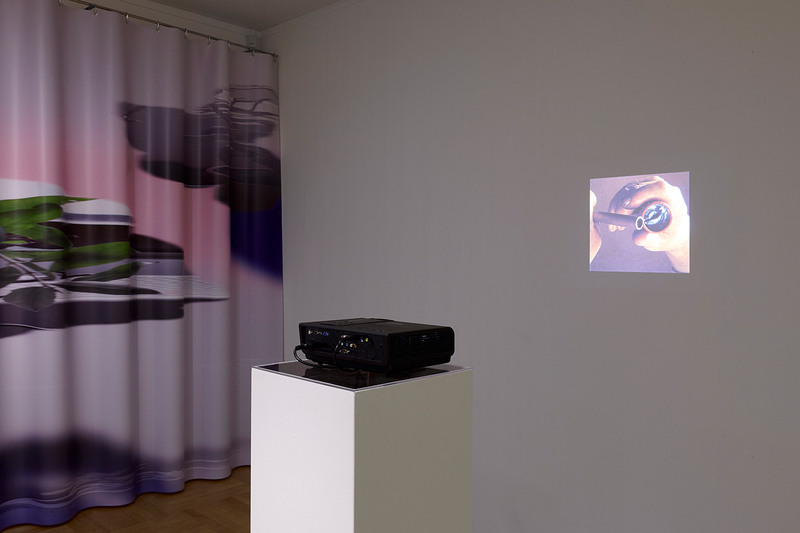 A projector screened a large series of individual photographs with hands and people during numerous activities, a vitrine displayed three consecutive, printed photographs of hands preparing a meal, and a readymade of a “how-to” magazine entitled “Nail Art” was exhibited on a plinth under a perspex cover. All three exhibits relate to each other through their constructions: the legs of the vitrine are repeated in the legs of the plinth on which the projector was installed, while both plinths had the same height, thereby structuring the entire space into a relational organism. 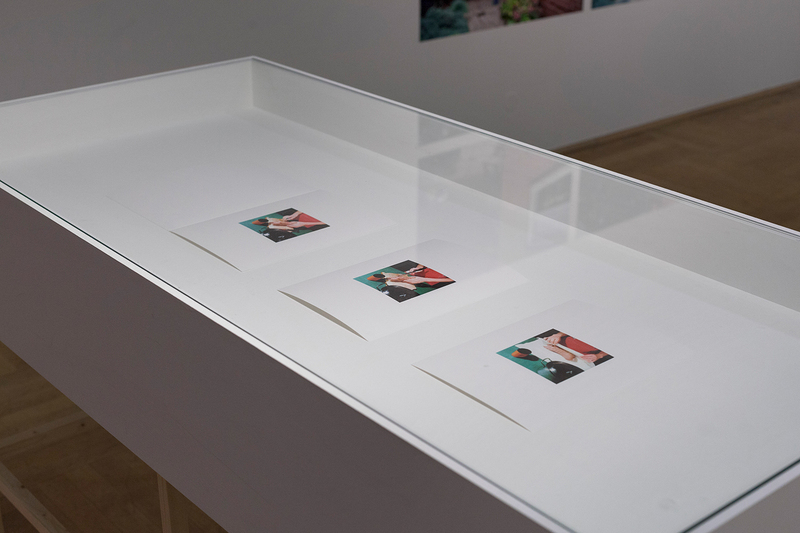 Jan van der Til "Projection of 147 images from DIY books"
Andrey Bogush’s work deals with perceptions of images in the context of their production, consumption and distribution. His proposed work for Perfect Storm was a curtain printed on vinyl and draped in folds, covering the entire back wall of the space. Through drawing on the photograph, stretching it and blowing it up to a larger than life-size, Bogush confers the work an incomprehensibility that tackles our otherwise oversaturated visual senses. 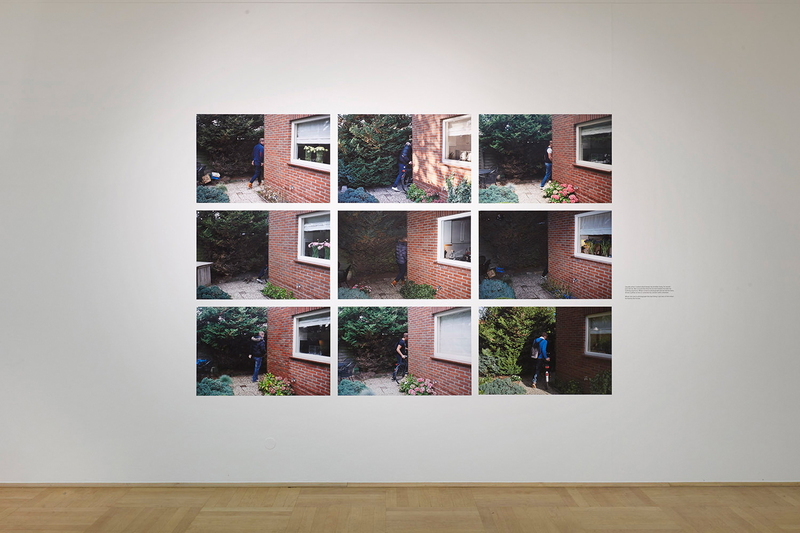 Esther Hovers’s work False Positives is concerned with the ability of intelligent surveillance systems to detect seemingly deviant behaviour in public spaces. This body of work was largely informed through dialogues with surveillance experts who explained to Hovers the mechanism and algorithms that are involved in distinguishing normal from supposedly suspicious behaviour. By staging situations that would be classified as deviant body language by such systems she raises questions regarding the potential errors and blind spots that these classifications entail and promote. 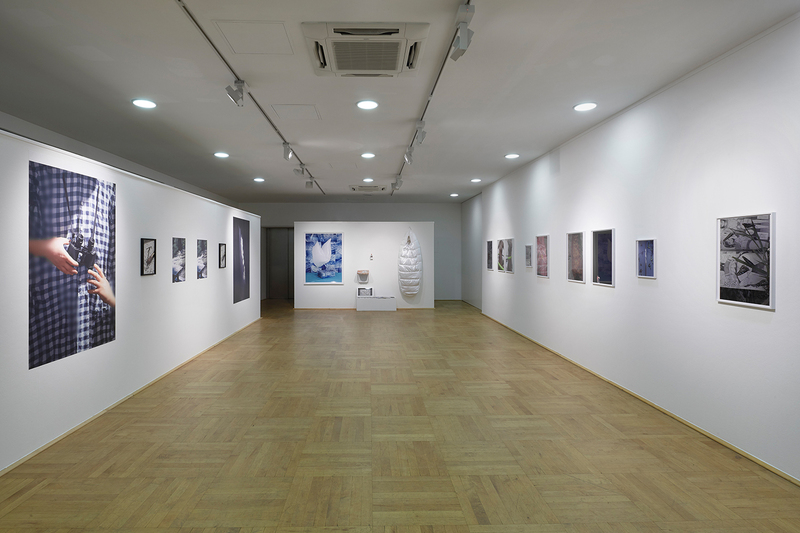 Sasha Kurmaz is invested into the dissemination of photographic images into public as well as personal spaces. Sometimes in a performative style, he tests and observes people’s reaction towards images that he spreads in specific ways in different contexts. Besides which he also uses images that exist in urban spaces, often in his hometown Kiev. His Banner Book, for instance, includes several cutouts from advertising banners featuring the hands depicted on them. Further, for Perfect Storm he ordered credit cards from a Ukrainian bank that offered printing customised images on the cards of their clients. 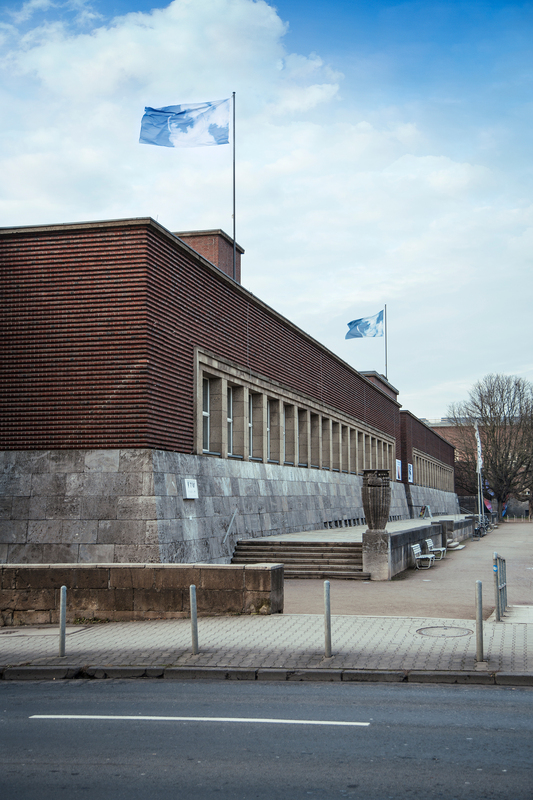 And last but not least he printed two identical flags depicting a soap bubble against a blue, partly clouded sky, and installed them on the roof of the NRW-Forum. Perfect Storm took place at NRW-Forum Düsseldorf from 3 February through 12 March 2017.